The Care Bears are back and better than ever before. Starting with a new special episode on Saturday April 6 at 7am on Tiny Pop, the Care Bears will return for Care Bears: Unlock The Magic. If you thought you remembered these cuddly, adorable bears from your childhood – think again: the bears have had a makeover. Not only are the bears lovable and caring, these new renditions can dance, perform magic and even rap. No doubt this is going to make their adventures even more fun than ever before! In the first look teaser, the Care Bears encounter an unexpected stowaway on their holiday trip. Who is this new friend? How can the Care Bears get them home? And what other adventures await this new-look squad? 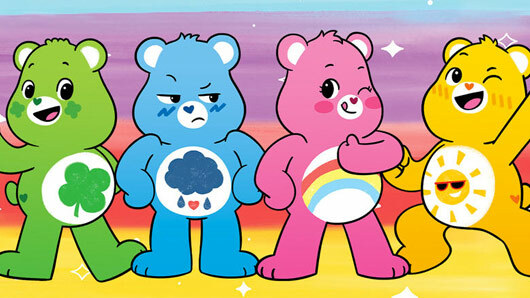 Care Bears: Unlock the Magic starts Saturday April 6 at 7am on Tiny Pop.